Blackwork Machine Embroidery on 15th Nov 2014! 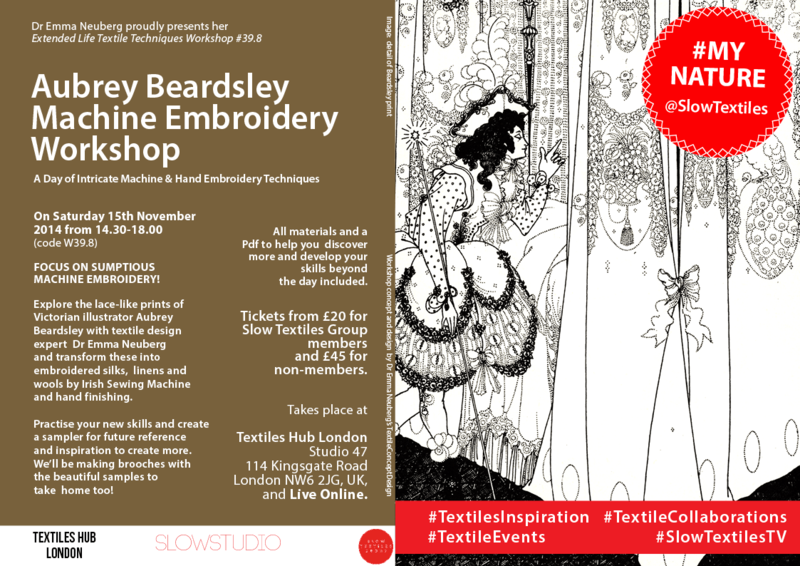 Slow Textiles TV tickets are available for this workshop if you’re not able to be in the London studio and or prefer to participate from home (from £20 for Slow Textiles Group Members). We use Google+ Hangout which is easy to use (all you need is a Google+ account). Alternatively, come to the London studio to gain the full experience of a textile design studio, personal attention, group experience and learning, Slow Textiles Group handouts and realia, new work made with Slow Textiles Group materials, networking, refreshments and fun from just £40 (Slow Textiles Group Members’ price)! Previous articleUncategorizedYour Christmas Party Invitation! Next articleUncategorizedPersonal Tutorials for Everyone!